At WildFin we are committed to bringing you some of the finest, Northwest craft-brewed beers available. You'll always find a consistent selection of the classic styles and a few unexpected surprises. At WildFin we take the art of the cocktail seriously. Premium spirits, fresh made mixes, quality garnish and the correct techniques make the difference. It’s easy to mix and “drink” but it takes care, skill and a commitment to quality to craft a fine cocktail. Our bartenders are professionals in their field so if you don’t see your favorite on the menu, just ask and we’ll be happy to accommodate your pleasure. Woodinville whiskey, Fee Brothers Bitters, a little vermouth and a hint of Benedictine aged in our own oak barrels. Cadee Intrigue Gin, Luxardo maraschino liqueur, Green Chartreuse, fresh lime and simple syrup. Dark rum, Trader Vic's Macadamia Nut liqueur, Amaro Montenegro, Angostura bitters. Bourbon, fresh lemon juice, simple syrup, egg white, red wine float. 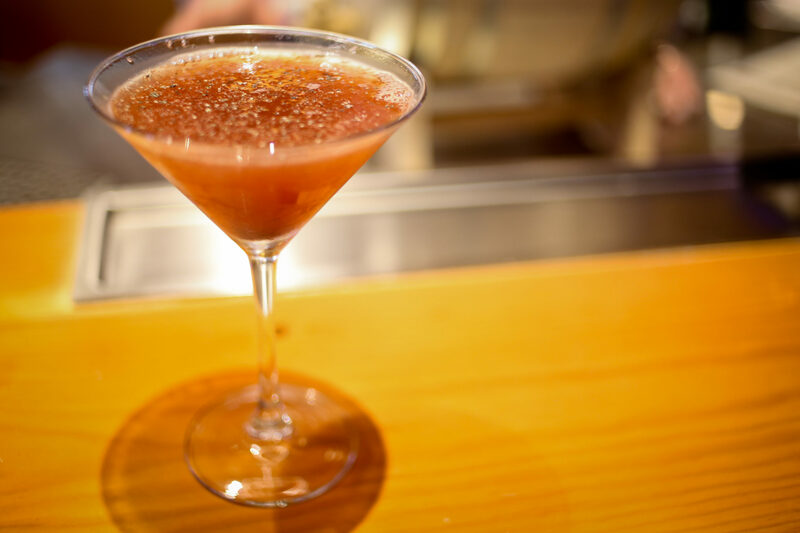 Cachaca, pomegranate liqueur, ruby red grapefruit juice, fresh lime juice, simple syrup. Worker's #9 vodka, blackberry basil lemonade, balsamic glaze, cracked black pepper. Vida Mezcal, fresh lime, cilantro, jalapeno, soda splash. Crown Royal apple, Tuaca, Cointreau Noir, Peychaud's bitters, smoked ice. Vodka, ginger liqueur, lime sour, ginger beer.